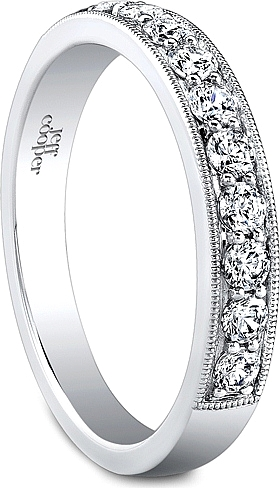 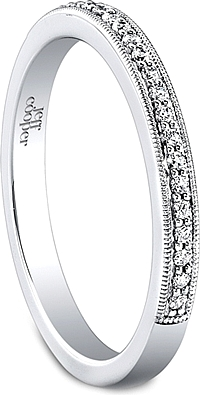 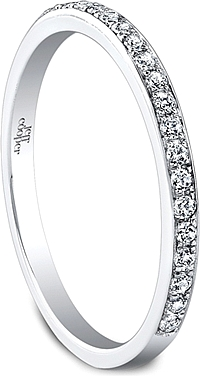 This diamond wedding band by Jeff Cooper features pave set round brilliant cut diamond going half way around the band with a milgrain design along the edges. 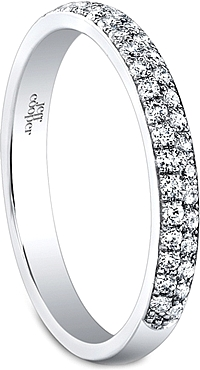 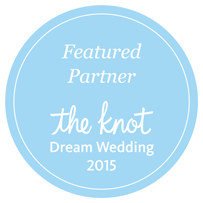 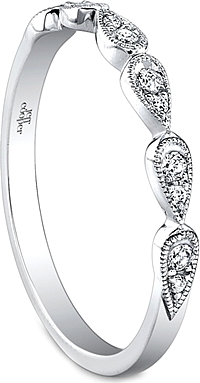 I love the milgrain on this band surrounding the line of diamonds. 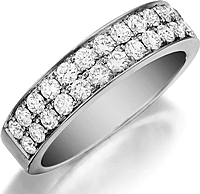 It adds to the sparkle, and I think it looks more classic.